Jill Baguchinsky’s outwardly lighthearted Mammoth comes with an important message. Natalie is a plus-size high school junior who blogs about fashion and paleontology. An opportunity for a summer internship at the Mammoth Site in Austin, Texas, is dream come true for her. Natalie is also scared, though. She has learned to always act like she is awesome even if she doesn’t feel it. Now she will be working at a real dig site, and her public persona may not be enough to help her succeed. 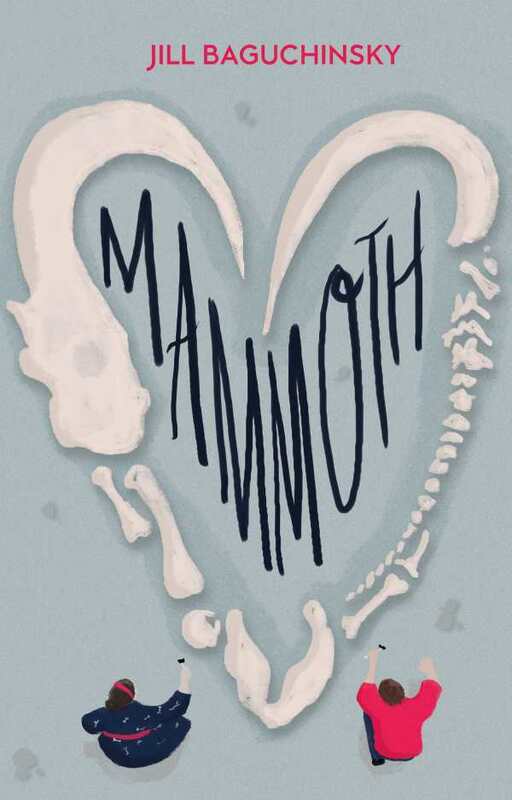 Mammoth is infused with danger, deceit, and romance. Natalie faces a number of professional and personal challenges. Her performance at the dig site is exceptional, but her hero steals recognition for one of her discoveries. She finds herself competing for the attention of a boy who may not deserve her. Her heart is always in the right place, but she makes poor decisions that have serious consequences. Natalie is a complex lead. She deals with cruel judgment and ridicule, and she engages in self-harm: restricting her body with tight shapers in the Texas heat, not allowing herself to eat enough food, and snapping her wrist with a rubber band. She is also bright, talented, and driven. Over the course of the story, she grows from a young woman who knows how to make the world think she is awesome into someone who knows that she is awesome. With its focus on STEM and self-acceptance, Mammoth will resonate.